The full title of Andrew Breitbart's latest book is "Righteous Indignation: Excuse Me While I Save The World!" "Save the World?" I have to admit, when I saw that title, I rolled my eyes. I mean, I love Breitbart's websites and I cheered his role in the takedown of ACORN, but come on. Andrew Breitbart says he's going to save the world...is he serious? Well, after reading the book, I have to admit, yeah, he just might do it. As I turned page after page, the thought that kept popping in my head was a simple one: "Breitbart gets it, he really gets it." Righteous Indignation is, in my opinion, a must-read for today's conservative activists. It's about one-third storytelling about Breitbart's experiences growing up and making a gradual transition from liberal to conservative, one-third history lesson about the roots of the Left's takeover of American academia, media, and culture, and one-third ninja lessons in how to be a modern conservative warrior. 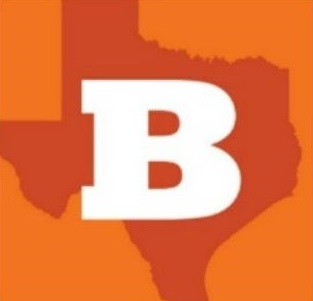 The passages detailing Breitbart's youth and conservative awakening are interesting, even poignant at times, and his discussions of his role in some of the past few years' major political news events brought an added dimension to stories I thought I already knew, but I was really fascinated with Breitbart's historical perspective on the birth, evolution, and exponential growth of the liberal school of thought in the United States. Many of the philosophers who Breitbart identifies as having provided the intellectual framework for American liberal thought were people whose writing I had studied in college (I was a Political Science and German double major before heading to law school). Breitbart is dead right when he points out the danger and dishonesty inherent in many of these works, and their fundamental anti-freedom, anti-liberty, and anti-American natures. Breitbart makes repeated assertions in the book that he's not the most educated person, but honestly, I can't remember ever hearing a better explanation of these complex theoretical topics. See for yourself: look up critical theory, postmodernism, and moral relativism. These are not, and never have been, concepts that are enthusiastically embraced by Americans. The only way the Left could sell America on these ideas was to dress them up in more benign costumes while simultaneously viciously attacking any who dared raise a question...and who better to lead this charge than the one and only Saul Alinsky. Breibart absolutely nails this explanation of how liberal socialist philosophies gained such a strong foothold in America and spread so quickly, and then follows it with some of the most effective and direct advice for countering this leftist ideology that I've ever read. There's no time to continue backing away. If we're standing still, we're moving backward. Get in the game. Get in the fight. Breitbart encourages his readers to be bold and brave in their conservatism, to not be afraid to take the fight to the left but to also know liberal tactics well enough to turn those tactics back against them. I found the section on refusing to accept unfounded charges of racism, homophobia, etc. especially instructive. Sunshine State Sarah | Interview with Andrew Breitbart about his book "Righteous Indignation"
Breitbart's agent had promised me just a 10 minute interview, but Breitbart kept talking for almost 19 minutes and I sure as heck wasn't going to tell him to stop talking! It was an absolute delight to speak directly with someone who has inspired my own conservative writing and activism, and I really appreciate him taking the time to chat with this little blogger from Florida. The thing is, I like playing by the rules that they're not willing to play [by]...they get away with stuff but I'm willing to play by the rules...I actually like being held to a strict standard, I like the idea that I'm fighting them with my hands tied behind my back, because when I beat them, it makes it all the more fun. If you agree with me that our country is at its most important crossroads since WWII, that we are facing a financial crisis that threatens our ability to maintain the American way of life, then you should also agree that conservatives can no longer afford to be polite and stay quiet, then I encourage you to check out Breitbart's book , and maybe we can all save the world together. thanks for posting this. I took your recommendation and bought a copy of the book. I'm about half done and L-O-V-E what I'm reading.